I shaved a tenth of an ounce off the bag. 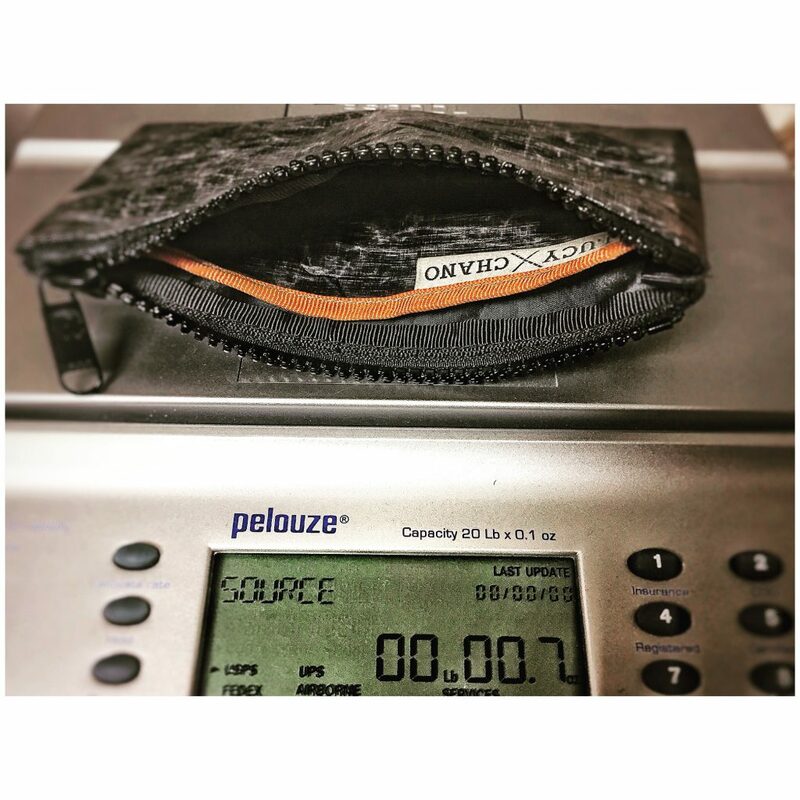 The goal is to create the lightest cycling ride pouch available but maintain the essential durability characteristics and provide more than just a plain envelope. In a previous version of this cycling bag the outer shell was constructed from two pieces so we could eliminate a full lining but still have an interior divider. 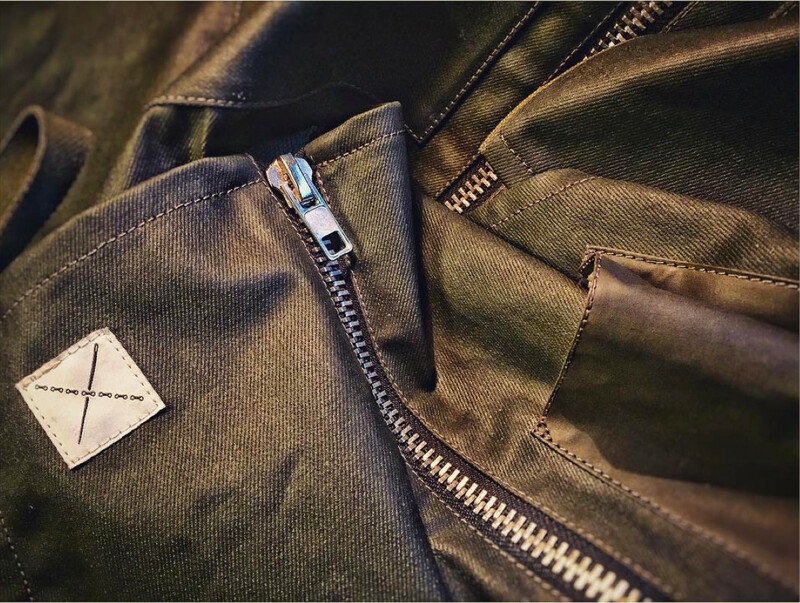 One side of the Dyneema fabric is shiny and the other is a matte/flat finish so the divider was constructed from a folded piece of fabric so the shiny surfaces were faced together (hidden) and the matte finish was the visible surface. After deciding I didn’t mind exposing both sides of the fabric, the divider no longer needed to be two pieces or folded and no longer needed to be sewn into the bottom edge of the cycling bag, yet it still provides a compartment rather than just a simple partition. Removing the necessity of the bottom seam means the shell can be constructed from a single piece of material. Eliminating the seam at the bottom of the bag eliminates about 1/2″ of fabric (seam allowance on both pieces) and also the tape to cover the raw edges of the seam. Since the seams are taped to hide raw edges and not expressly to guard against moisture, one less seam means less moisture can potentially seep through the bag and is therefore even more water resistant.